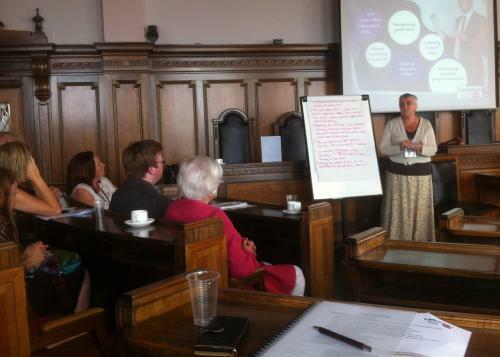 Network for Europe worked alongside ONE Lancashire and Lancashire LEP to deliver an event in Preston on 20th August which brought the VCFS and the LEP together to discuss priorities and how to achieve them using the new EUi funding programmes due to start in 2014. The event was well attended with over 40 organisations attending and was chaired by Liz Tapner, CEO at SELNET, representing ONE Lancashire, and was addressed by Sean McGrath on behalf of the Lancashire LEP. The picture shows Ann Marie Wrigley, from Co-ops Northwest and board member of Network for Europe, giving feedback from one of the working groups.